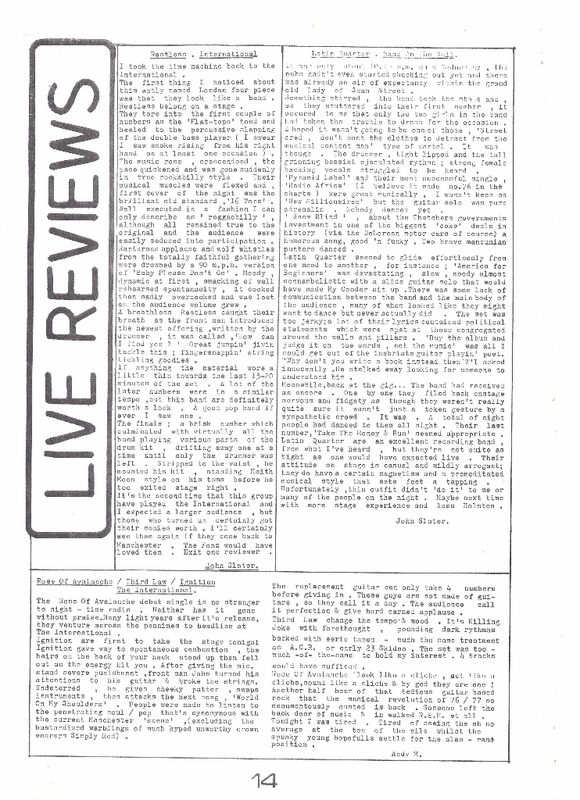 Live reviews pages from issue 4 of Acrylic Daze fanzine. 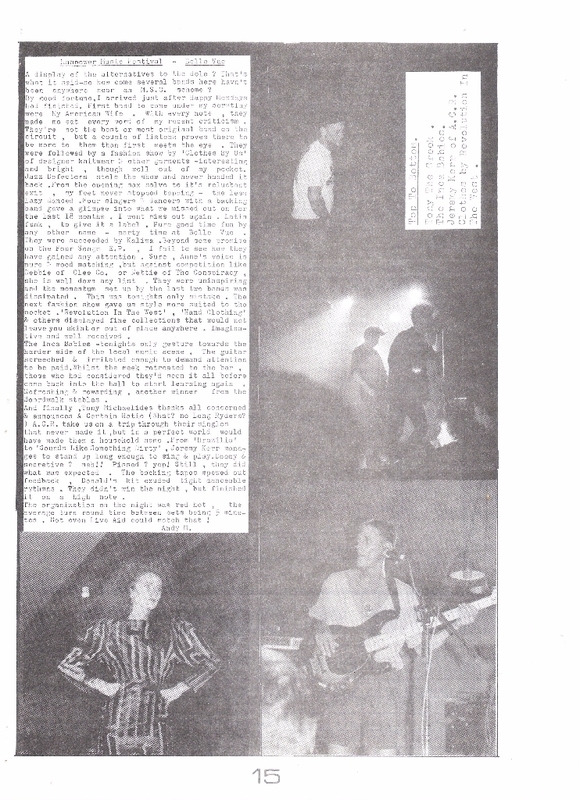 Bands covered in this issue included Third Law and Ignition at The International and a review of the Manpower Music Festival at Belle Vue that featured Happy Mondays, My American Wife, Jazz Defektors, Kalima, Inca Babies and A Certain Ratio with Tony Michaelides the compere. Pics by Andy Mitch.